The biggest party in comics is about to begin. San Diego Comic-Con officially starts tomorrow. Our own Mike Fahey and Evan Narcisse are in sunny SoCal right now, and as you see, Fahey is already all registered. 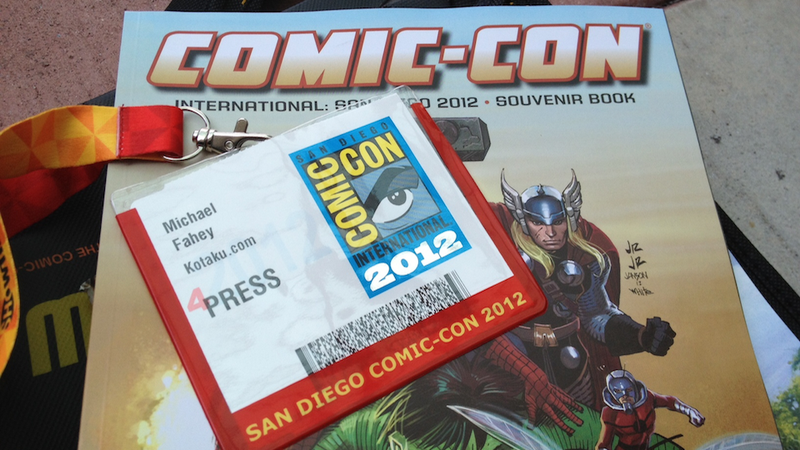 Kotaku will be bringing you all kinds of SDCC coverage for the rest of the week and weekend. Follow along on the site or at the SDCC tagpage.